Soothe the spleen and stomach, direct qi downward, promote digestion and resolve phlegm. Indigestion, choking sensation in chest, asthma with cough, diarrhea. 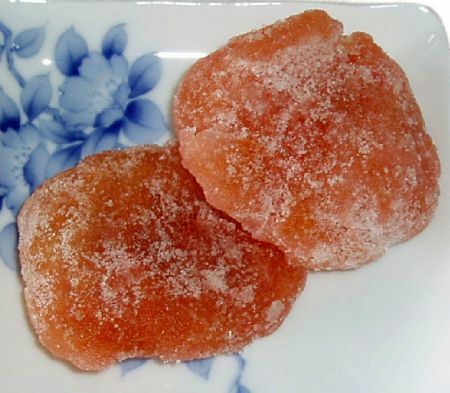 Decoct 1~2 candied tangerine fruit.